Hi, I have a very big problem, during my last print, nylon stuck around the printcore (all around) and I have no idea how i can solve two problem. 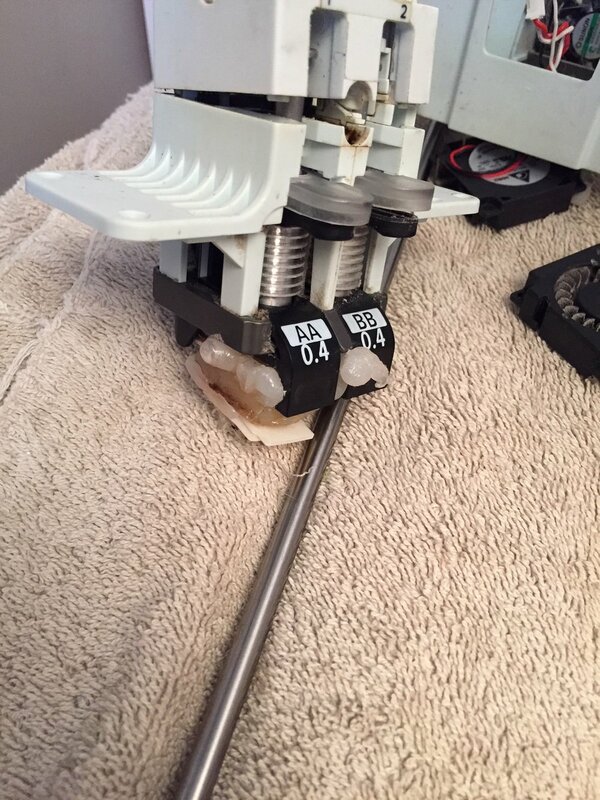 first : remove the nylon (Tollman 910... I know.... it's not ultimaker problem) and how to never have this problem again.